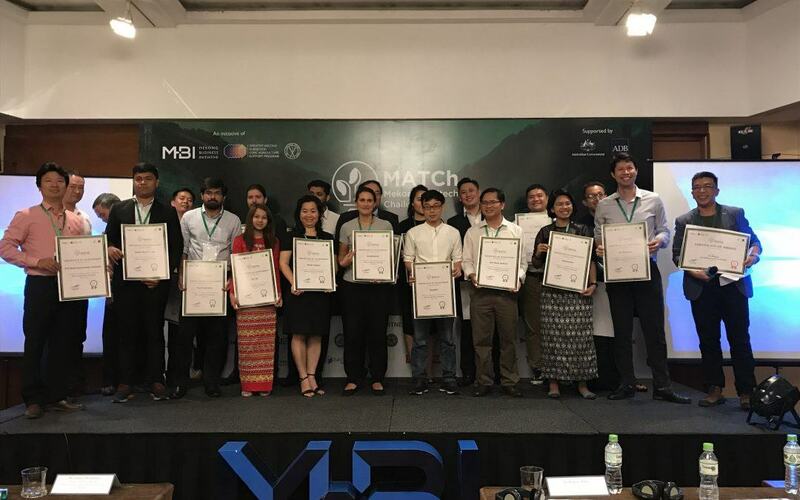 Six startup teams have won the 2018 Mekong Agritech Challenge (MATCh), having presented outstanding technology solutions with high potential to advance agriculture in the Greater Mekong Subregion (GMS). Prizes ranged from $2,000-$5,000 USD equivalent. Winners also receive ongoing mentorship and training and will compete in the Singapore-based Future Food Asia Award Competition. 22 teams visited Ha Noi to pitch their technologies and solutions to a panel of industry experts and investors. Teams hailed from Cambodia, the Lao People’s Democratic Republic (Lao PDR), Myanmar, and Viet Nam as well as Australia, China, India, Israel, the Netherlands, and Thailand. Teams also participated in business matching, one-on-one meeting with mentors, and farm tours. Cricket One (Viet Nam) – sustainable and affordable protein product from crickets. AgUnity (Australia) – a blockchain platform that helps farmers share resources. KIU Global (Regional in Cambodia, Lao PDR, Myanmar, Viet Nam) – a financial technology solution offering agricultural businesses access to credit. TunYat (Myanmar) – a rental solution that gives smallholder farmers access to larger machinery. Enzootic, Ltd. (Israel and Hong Kong, the People’s Republic of China) – a cell transplantation technology for shrimp farming that yields all female shrimp producing more product with less losses. “Cambodia, Lao PDR, Myanmar, and Viet Nam all share deep agrarian legacies, and while these economies are diversifying, agriculture still has so much to offer as an engine of economic growth” commented Connor McGuinness, Regional Program Manager, Australian Government Department of Foreign Affairs and Trade. The Mekong Business Initiative, Future Food Asia, and the GMS Core Agriculture Support Program co-organized MATCh with funding and support from the Australian Government and the Asian Development Bank. 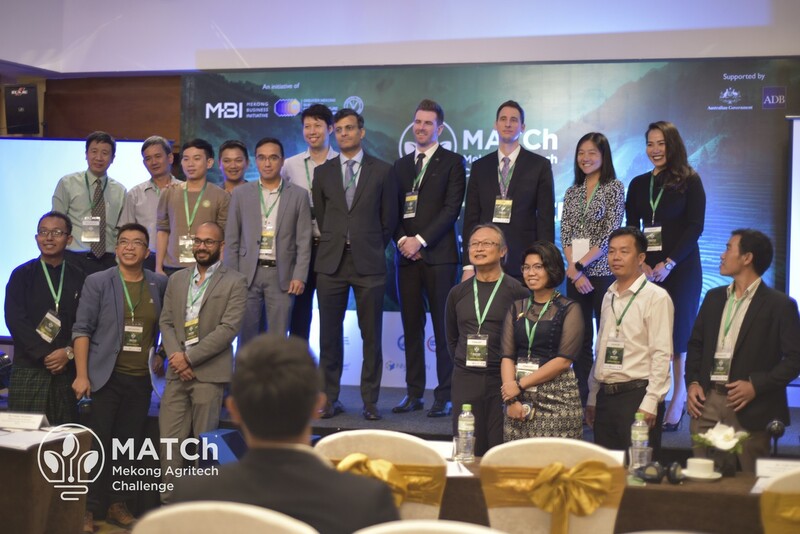 MATCh supports startups in agriculture to develop products, network and learn from industry players, showcase their solutions, and access markets and funding. It is aimed at agritech and traditional agriculture businesses with innovative and scalable solutions for Cambodia, Lao PDR, Myanmar, and Viet Nam. The Challenge has tracks for businesses from inside and outside the Greater Mekong Subregion. MATCh will be powered by the MATCh Alliance, consisting of key regional and local players in the agribusiness innovation ecosystem.